Jim Malloy at Geary Gallery of Darien - "Abstract Expressions"
Jim Malloy of New Fairfield is the featured artist in the exhibition “Abstract Expressions” at Geary Gallery of Darien from May 1 - 31, 2019. 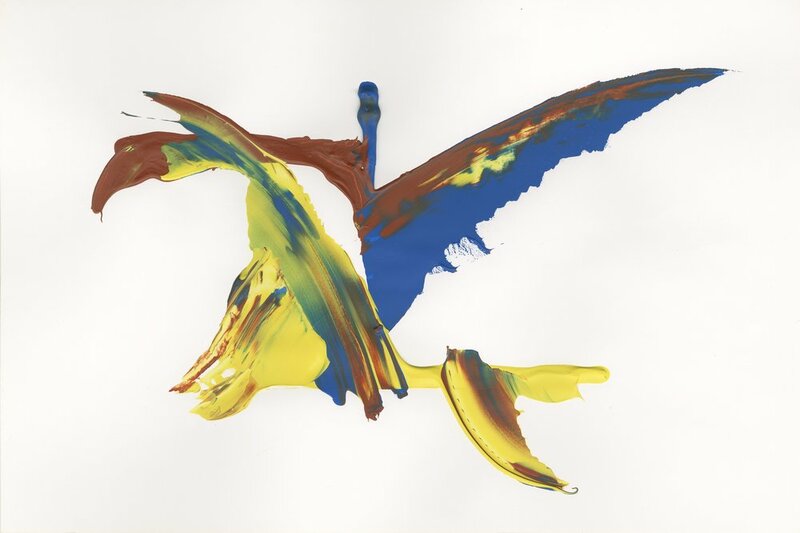 Jim Malloy is a national award-winning author, songwriter and gold record recipient who now expresses his creative ideas with the medium of acrylic paint. His artwork is known for its raw style, vibrant colors and bold, abstract style. Geary Gallery is located at 576 Boston Post Road in Darien, Connecticut. Artbusiness.com has an excellent article by Alan Bamberger that explains the significance of giclee printing, limited editions, documentation for editions, and selling giclee prints called “Giclee Printing and Pricing for Artist Limited Editions” that we think will be of interest to our artists and readers. Spencer Eldridge’s “joyfully apocalyptic” new series “Terrascapes” will be on view in the gallery at The Pound Ridge Library from March 7- April 20th, 2019. The library is located at 271 Westchester Ave, Pound Ridge, New York. An opening reception will take place in the gallery from 5-7pm Thursday, March 7th. Free and open to the public. Children are welcome. Multi-disciplinary artist, writer, and songwriter Jim Malloy has three paintings being shown in the Society of Creative Arts of Newtown (SCAN) member exhibition “Color in Winter” which runs until March 29, 2019. 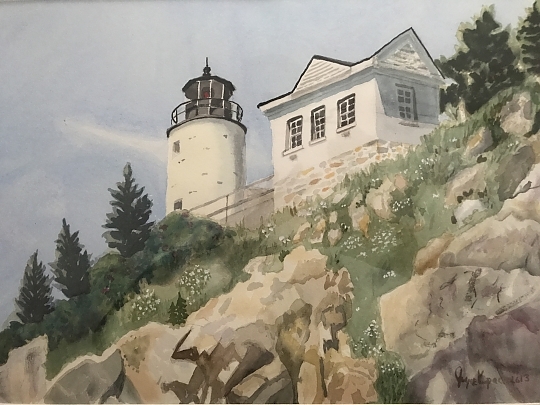 The exhibition takes place at the Newtown Municipal Building, 3 Primrose St., Newtown, Connecticut. There is an artist’s reception on Wednesday, February 27th from 3 pm - 4:30 pm. Malloy recently had two paintings accepted into the Ridgefield Guild of Artists “Conversations” member show which runs until February 17, 2019. In addition, Malloy has three limited edition prints made by Still River Editions being shown at the Barn Gallery in New Fairfield. WWI Poster Exhibition at The Gallery at Still River Editions: "And They Thought We Couldn't Fight"
During World War I, one third of the country’s population bought at least one Liberty Bond. The bonds were sold through massive publicity campaigns that appealed to the public’s sense of patriotism through the powerful visual medium of the poster. The lithographic posters show a wide array of illustration styles and bold lettering with slogans meant to stir the public into action to fund the war. It was the dawning of mass-marketing and sophisticated propaganda. Twenty four billion dollars, two thirds of the war’s cost, was raised by 66 million transactions, in five bond drives that all exceeded projections. Kenneth T. Dixon, who is a nationally recognized columnist for the Hearst Connecticut Media Group, began his collection as a child when he was given a gift of the poster from which the exhibit takes his name. He continued collecting posters as an adult after finding a trove in a bookstore near the State Capitol, where he was working as a reporter. There are fifteen posters from Dixon’s collection on view. Friedman Gallery has a pop-up location featuring the photographs of Michael Friedman “The Lost Rock & Roll Negatives” and Larry Silver “Connecticut Photographs”. The pop-up is located at The Brick Walk, 1275 Post Rd., Fairfield, Connecticut. There is an opening reception on Thursday, December 13, 2018 from 5 pm - 8 pm. Regular hours are Wednesday through Sunday 12-5 and by chance or appointment. Phone number 203-247-6869. Michael Friedman’s photographs chronicle a time in his life when he was working in the music industry. The negatives had been lost for almost 50 years. This is a preview of an exhibition that will be at the Rock & Roll Hall of Fame in Cleveland in the Fall of 2019. They feature artists like Janis Joplin, The Band, Todd Rundgren, Paul Butterfield, Kris Kristofferson, Rita Coolidge, and The Rolling Stones. Friedman’s archival black and white prints are made by master printmaker Mark Savoia of Still River Editions. Westport photographer Larry Silver’s work is in the collections of museums, including the Metropolitan Museum of Art, the Smithsonian Museum of American Art, and the Whitney Museum. Most of the photographs presented in this exhibition were taken in the 1970’s and 1980’s in Westport, Fairfield, Southport and Black Rock. Catherine Vanaria, of Still River Editions, is featured in the group exhibition “Toy Boat” curated by Sarah Fritchey from the Artspace New Haven flat file. The exhibition runs from November 30, 2018 through March 2, 2019 with an opening reception on Friday, November 30 from 5 pm - 8 pm. Catherine Vanaria is a photographer, master black and white printmaker, co-owner of Still River Editions. She is also Associate Professor of Art and Chair of the Art Department at Western Connecticut State University. The other artists in the exhibition are Lexi Axon, Cynthia Back, Marion Belanger, Marc Burns, Jessica Cannon, Claudia Cron, Roxanne Faber Savage, Julian Gilbert-Davis, Nina Jordan, Sun Kwak, Elizabeth Livingston, Shanna Merola, Sam Messer, Jeff Slomba, Joseph Smolinski. Also happening at Artspace concurrently, the exhibition “In Plain Sight/Site,” curated by Niama Safia Sandy, with artists Jocelyn Braxton Armstrong, Kimberly Becoat, Coleman Collins, Adama Delphine Fawundu, Deborah Jack, Nate Lerner, James Montford, Tajh Rust, Tariku Shiferaw, and Maya Vivas. Artspace New Haven is located at 50 Orange St., New Haven, CT.
3DreamsArt has launched an online store of limited edition prints on Etsy. The prints are made from paintings by artist Jim Malloy of 3 Dreams Creative, with titles inspired by popular songs. The prints are made by master printmaker Mark Savoia of Still River Editions. From November 20 - November 30, 2018, four of the art prints ("Imagine," "Move Like Jagger," "Hotel California" and "Layla" ) will be discounted 30% for Etsy’s Cyber Sale with free shipping. Still River Editions is a proud print sponsor of ASAP!’s Celebration of Young Photographers. The photo exhibition features the theme ”Possibilities are Boundless,” and takes place on Sunday, November 4, from 2 pm - 4 pm at Bryan Memorial Town Hall, Washington Depot, CT. Entrance is free. ASAP! is a Connecticut creative arts organization that fosters arts and theater learning opportunities for over 8,000 children a year from diverse economic and social backgrounds. From their website: “Join us for a unique exhibit of images by talented young photographers from across our region of Connecticut. A panel of renowned photographers and collectors will jury photographs submitted by students in grades 6-12, each expressing a unique interpretation celebrating this year’s theme, Possibilities are Boundless. Following the exhibit will be a presentation celebrating our selected top young photographers. Enjoy a glass of wine and delicious local hors d’oeuvres while appreciating the work of our talented artists. The Bryan Memorial Town Hall is located at 2 Bryan Hall Plaza, Washington, Connecticut. The Carriage Barn Art Center is hosting an art exhibition “Art for ALZ” to benefit the CT chapter of Alzheimer’s Association from October 26 through November 3, 2018. 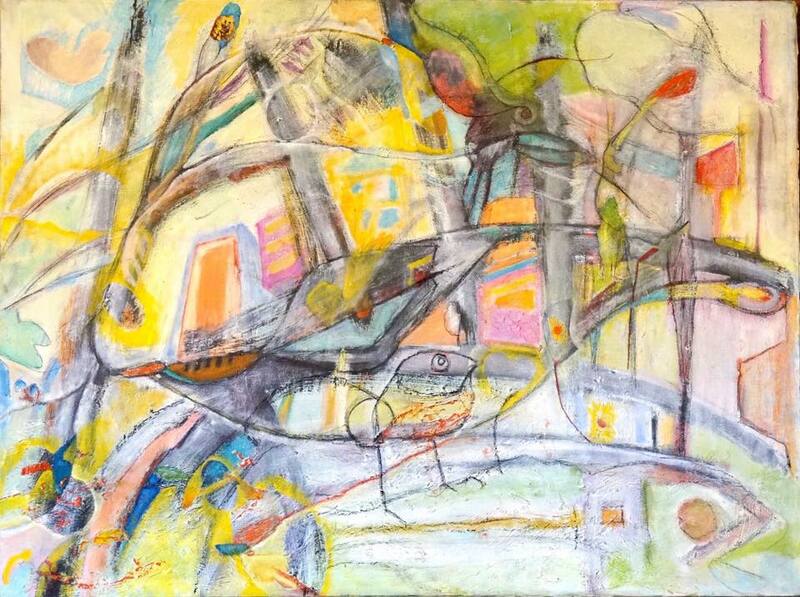 Over 40 artists are exhibiting including clients Lisa Berger, Paul Berger, and June Eichbaum. The opening reception is Friday, October 26 from 5 pm - 8 pm. The Carriage Barn Arts Center is the home of the New Canaan Society for the Arts, and is located at 681 South Ave., New Canaan, CT 06840. Joyce Kopac will be exhibiting her paintings at Plumb Memorial Library, Shelton, Connecticut with an opening reception on Saturday, October 27, 2018 from 2 pm - 3 pm. Plumb Memorial Library is located at 65 Wooster St., Shelton, CT.
Jim Felice has created an installation for City Wide Open Studios Alternative Space Weekend, which takes place October 26-28 from noon - 6 pm each day on the Yale West Campus, 410 Campus Drive, Orange, CT.
A companion piece is on exhibit at Artspace New Haven for the duration of October. Edith Borax-Morrison, who is a client of Still River Editions, will be featured in a solo exhibition, “Celebration” at Kehler Liddell Gallery in New Haven, Connecticut, from October 18 through November 18, 2018. Also featured in a simultaneous solo exhibition is Hank Paper. There is an opening reception for both exhibitions on Sunday, November 4, from 2 pm - 6 pm with artist talks at 2 pm. Kehler Liddell Gallery is located at 873 Whalley Avenue, New Haven, Connecticut. Equine photographer Lisa Cohen is exhibiting at Armonk Art Show Saturday and Sunday, ﻿September 29-30th from 9 to 5 pm. 185 artists were from 28 states were juried into the exhibition. The show is located at 205 Business Park Drive, Armonk, New York. Still River Editions printed Cohen’s work for the exhibition. The Gallery at Still River Editions hosted her exhibit “Saddle Horse” in 2014. An exhibition of Michael Friedman’s rock and roll photographs “The Lost Negatives” will be on exhibit at Canvas, Malibu, 23410 Civic Center Way, Malibu, California from September 26 through October 31, 2018. Earlier in 2018, the exhibition was on view at The California Heritage Museum in Santa Monica, California. In 2019, it will be brought to the Rock and Roll Hall of Fame and Museum. Still River Editions made the archival digital black and white prints for the exhibition. Catherine Vanaria, Associate Professor of Art at Western Connecticut State University and co-owner of Still River Editions, is one of the artists featured in the exhibition “Shelf Life” at The Institute Library, 847 Chapel St., New Haven, CT from September 29 through December 29, 2018. There is an opening reception on Saturday, September 29 from 4 pm - 6 pm with an artist talk at 5 pm. The exhibit was curated by Martha Willette Lewis. Do you belong to one of these professional organizations? If so, you can now receive a 10% discount on fine art digital inkjet (giclée) printing and scanning from Still River Editions. Just give your member ID # along with your order, and as long as you keep your membership in good standing, you will receive the discount on printing and scanning (mounting, creative services, and shipping are not included). The discount doesn't combine with others, and if another higher discount applies, the higher one will be taken. It was 1978, Boston, standing in a darkroom in Kendall Square, watching a print processing tube go around and around, waiting for the next step to dump and refill. That was forty years ago, and I am still making photographs/prints. Who ever thought that would be my destiny? I went to school to be a professional photographer and ended up on the other end of the gun, getting paid to print. Brown finger tips, who-knows-what inhaled, lack of sunshine. But the bright part is it let me meet my best friend and wife, sharing pressurized air over a light box. And how many images have I seen printing, processing, mounting slides (my estimate, well over two million frames), trimming, and packing? It's like I lived every other photographer's life. But I enjoy it, and that is what life is supposed to be, to do what you like. I never knew that in 1964, glued to my father’s side in his hobby basement darkroom, truly amazed at the magic of an image popping up in a tray of smelly chemicals, that I would continue doing it. Thanks dad for forty years of printing…so far. Madison’s Mercy by the Sea Retreat & Conference Center will be hosting Bethel artist Elisabeth J Levy’s photography exhibit WaterScapes from July 11-August 15, 2018. The opening reception will be on July 15 from 2-4pm at the Mary C. Daly, RSM Gallery on the premises at 167 Neck Road, Madison, CT. The reception is free and open to the public. From the press release: "WaterScapes is the latest effort of Fairfield County based Photographic Artist Elisabeth J Levy who is known for her luminous yet intimate images of the natural world, as well as her original Zen & The Art of Seeing Photography & Mindfulness Workshop series. The WaterScapes exhibit is divided into three distinct parts that each honor water in a unique way. The Sound Beauty collection was shot entirely along the Connecticut Shoreline, spanning three seasons including a fortuitous January thaw and according to the artist is a tribute to the magic of the Long Island Sound. The Ripples series – a more abstract approach and a distinct departure in style from the more conventional landscapes Levy is known for – captures the shapes, colors, patterns, and textures of a 'beloved freshwater swimming quarry' in her Bethel, CT hometown. The third portion of WaterScapes titled Water Dance is Levy’s first foray into Video Montage. She explains, “since it is the movement of water that creates most of its rapture I felt that to most accurately reflect its enthralling spell I had to use moving images.” Water Dancecontains footage captured in a diverse collection of locations and according to Levy was created 'to inspire and soothe the soul.'"